I cannot say enough great things about the certification process, the entire concept, and about Chris and Michelle for the APSE class. You all are making the world a better place, and spreading awareness in ways you couldn't have possibly foreseen. Ordering Chris's book has truly changed my life; furthermore, the class taught me so much about myself (specifically: Chris's focus on DISC and Michelle's modules on psychology, the inviting, interactive, open class environment, and the experiences and knowledge gained through the team-based coursework). I use the skills gained from the APSE course in my everyday life to astounding effect. On a personal level, the entire process has helped me grow, and given me the direction that I needed so much. Truly from the bottom of my heart, thank you! In one word: fantastic! Among the many classes and seminars I attend in any given year, this has been one of the few I thoroughly enjoyed and got out of the most. Needless to say, social engineering is a complex and comprehensive field and cramming all the material into a single week is difficult, but Chris and his team managed to achieve just this. What really made the difference is the blend of theory and practice as the training consists of blocks of knowledge transfer interwoven with practice sessions. Worth mentioning in particular in this context are the assignments, which take place after the more formal part of the training day is completed. During these assignments, students have the opportunity to apply theory to real-world situations which helps to deepen the understanding and round off the learning experience. For me, this class laid the foundation for improved SE work and also taught me skills and helped me to gain experience in the field of general human interaction and the mechanisms behind it which also help me in my daily work outside traditional social engineering contexts. 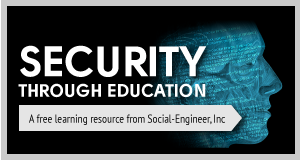 "It is truly eye opening and frightening when you understand the threat vectors to your company from social engineering, however the knowledge gained in this course will be invaluable in protecting your companies' people and assets. 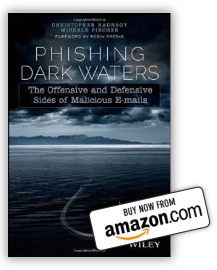 I highly recommend it for anyone involved with information security, risk management." 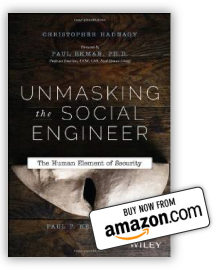 To say that Chris Hadnagy’s weeklong training course, ‘Social Engineering’ is a phenomenal, practical, real-life training program, is a gross understatement. It is the best training course I have ever participated in. The best selling point of the course is direct and personal contact with Chris Hadnagy over five straight days. Outside of the formal portion of the course, Chris took the time to answer the hundreds of random, off-the-wall questions about anything from computers, to penetration testing, to Chinese buffets in Pennsylvania. Chris is one of those people that you instantly like and feel like you’ve known for a while. From the beginning, it never felt like I was talking to a world famous author, Chris felt like an old friend one hasn’t seen in a while and the conversation flowed naturally. The second best portion of the course was the interaction of my fellow students. Not coming from a computer science/programming background, I was amazed at how much I learned from my peers. A great complement to the formal portion of the course, which most focuses on the human element, interaction with my peers helped round out my education by exposing me to the computer side of penetration testing. I learned much. Systems Security Administrator at Trilogy Security, Inc.
"In comparison to other courses, the material to audience relationship is very interesting. Typically a course will be taken to further define something with which one is already slightly accomplished. Chris takes an extremely difficult subject and teaches it to people who publicly acknowledge their shortcomings on the topic. It was incredible to watch a shy individual in the back of the class speak at the end of the week in confidence how he was able to elicit very sensitive information out of a complete stranger; something near-impossible the week before. Overall, I have never taken a training course that offered this much return for my investment. It helps me every single day in my professional as well as my personal life." "This course material is absolutely applicable in real-time situations. I recently completed the Social Engineering for Pen Testers course by Chris Hadnagy and Robin Dreeke, and highly recommend it to anyone looking to sharpen their human interaction skills. The course is thorough, well structured and, most importantly, the material is applicable in real-time situations. All of the students made progressive, measurable improvement in their engagements, regardless of their backgrounds." "After decades in my field, this was the best class I've taken. Social Engineering for Pen Testers was the best class I have ever taken in my decades in this field. It is not just a security class, it is a life class"
"This was the best class I have taken. The knowledge and skills I learned and developed are already showing benefits in my personal life and career. First a disclaimer I have been following the podcast from the beginning and signed up early enough for the newsletter. During this time I have learned a great deal and it has made a positive impact on my life and career. My motivations for attending the class where two fold, first to increase my Social Engineering skills and also to improve my social skills. And I must admit, this was the best class I have taken. The knowledge and skills I learned and developed are already showing benefits in my personal life and career. The DISC was not really eye opening as much as it reinforced and provided a deeper understanding of myself and my interactions with others. The homework was, at times, distressing because it pushed us out of our comfort zones. The creation of the teams was a great incentive and the unintentional forming of our extended team helped everyone take it to the next level. The morning debriefings were always full of positive feedback and a great learning experience for everyone. Debriefings were not judgmental and created a powerful esprit de corps. The synergy was incredible creating an environment where we were encouraged to push ourselves further competing against ourselves and previous accomplishments. The most disappointing part of the training occurred on the last day - when It registered that the training was over. I will miss the training and comradeship that we developed in class." "The Teachers were awesome and the materials were high quality!" "I Have taken many classes at Black Hat, this one is by far the best. Thank you"
"This course was worth well more than I paid for it. Excellent job!" 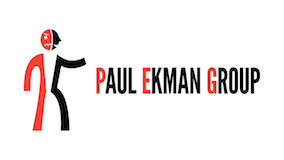 "This was not only an amazing educational experience but Chris & Robin are obviously masters..."
"I really enjoyed Chris Hadnagy's class, Social Engineering for Pen Testers, and I can’t wait to hear how these classes progress across the country." "I believe that Chris is undertaking a sizable social engineering project, in which he is using the opportunity to teach social engineering to actually effect positive and permanent change on the reader (and "coincidentally" enough, this is precisely one of the goals for social engineering that Chris mentions). One can glean that Chris is a master of the art he teaches based on what he has written, and how he has written it.... The idea that one should truly care about others and work on developing true concern, empathy, and listening skill is sprinkled throughout the text in the beginning (pre-loading the reader), and then explicitly declared later on in the guise of becoming a better social engineer. At no point though did I feel as though this message was in any way artificial. It comes across very genuine, and I believe his recommendation truly will make the reader a better social engineer, and a better person... Chris is clearly using his talents to make the world a better place, and for that I want to thank him heartily." The certification is a 48 hour test in which you will utilize your knowledge gained technologically and socially to breach a company.I am not going to give away to much information about the certification as i haven't taken it yet and I do not want to misspeak on the subject. 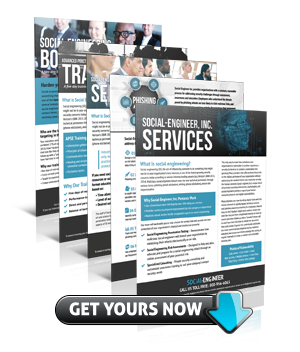 However I will say that social-engineer.org has done an excellent job at figuring out a way to include Real World Social Engineering into a test with verifiable proof of results. I am going to take my test in a couple weeks and it should be a blast!!!" For the full review see Ollie's Blog. "This was truly one of the best classes I have ever taken. The drive for ethics and solid moral obligation towards this field made it a worthwhile experience. The group developed a close bond and rapport, which made the experience even more enjoyable. Chris & Robin's positive energy made the class an incredible experience. I am looking forward to using my new framework and skill set in future engagements, thank you!"